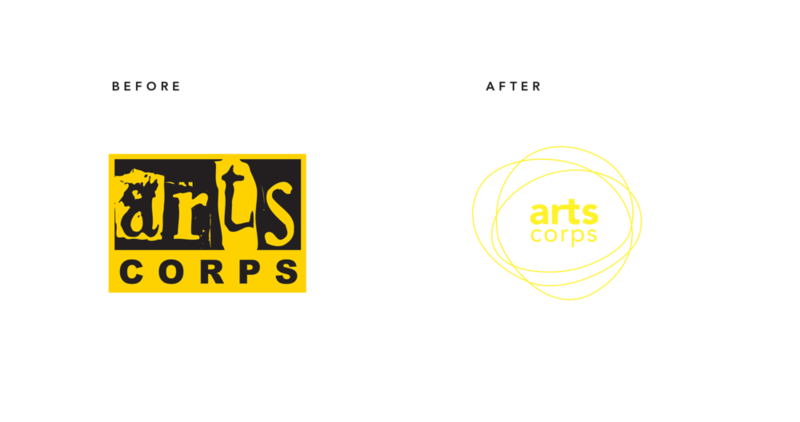 Arts Corps is a Seattle not-for-profit arts education organization. Passionate about changing the lives of youth, Arts Corps believes in by providing art programs in underserved communities, it empowers youth with the courage to express themselves and the condence to positively impact our community. Although Arts Corps' current mark successfully conveys a sense of creativity, it felt a bit chaotic and reckless. 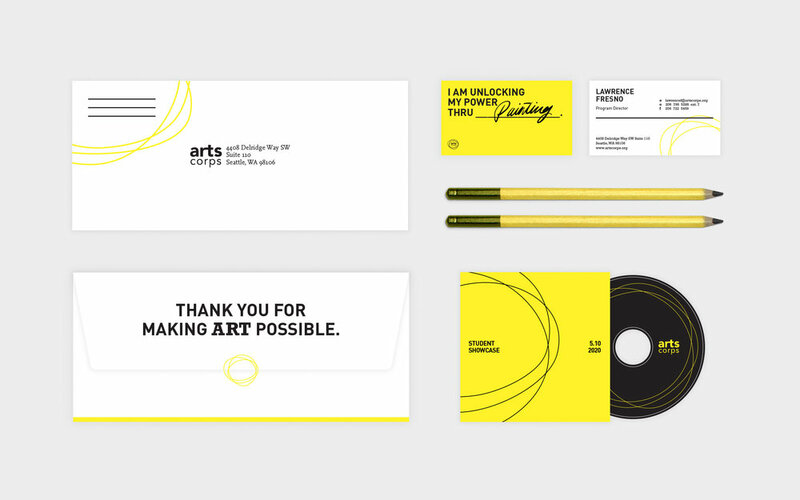 The new mark gave the organization a more put-together and mature look with a more restricted typography lock-up and a brighter yellow.